Patients in North Hollywood don’t have to travel far to see Dr. Soleymani, one of the best periodontists in Los Angeles, a consummate professional who delivers results that patients didn’t imagine were possible. The best news of all is that with technology moving as fast as it is, we now have many options as age sets in and our teeth begin to change. Dental implants in North Hollywood and surrounding cities were the answer for many of these patients, and they can be the answer you’re looking for too! Dental implants in North Hollywood are titanium roots with caps placed on top, simulating the look and feel of natural teeth. This can simply replace one tooth or multiple teeth or part of a prosthesis that holds dentures in place with amazing stability and chewing function. Your dental implants in Hollywood and surrounding cities will be put in place quickly and with relatively little discomfort. For some cases, Dr. Soleymani uses a non-invasive, slapless technique which doesn’t require incisions or sutures. Most patients say dental implants are less invasive than the extraction of a tooth and some believe they’re easier and quicker than a dental filling. The techniques practiced by Dr. Soleymani can be performed with quick and easy precision, and allow some patients to have their new “root” in place in 60 minutes (if the patient gets one-hour dental implants in Pasadena and surrounding cities). Why dental implants as opposed to bridges or dentures? Dental bridges restore lost teeth and regain beauty and dental function. On the other hand, they trap food and take away too much of your own natural tooth structure. Dentures do help people without any teeth to have some level of function; however, they are never stable enough, allowing bone and gum to deteriorate through time. With Dr. Soleymani’s advanced cosmetic dentistry techniques, facial aesthetics can improve and patients can enjoy eating food they previously couldn’t. Immediate dental implants in Los Angeles and surrounding cities is possible for many cases. In addition, sometimes a temporary cap can be placed immediately after the procedure. A permanent crown by your cosmetic or referring dentist can later replace a temporary cap once your implant has been fully matured into the jawbone. The temporary cap you get from the dentist will surely be enough to fool a casting director! 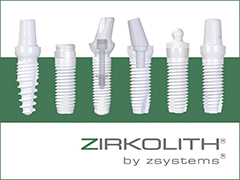 The implant costs are offered at competitive prices with respect to the high quality of dentistry performed. Financing is also available for those who qualify. Contact us with inquiries about dental implants in North Hollywood online at our contact page or call (310)275-4606.